What can you ask for more if you can be a part of the largest North European culture and music festival existed since 1971? 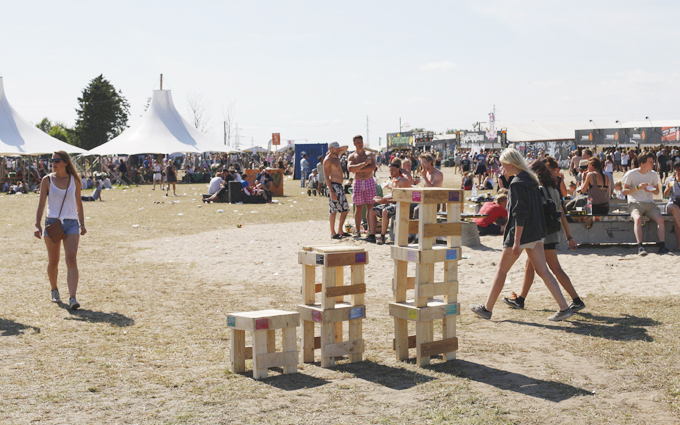 With the idea of "everybody can take part in creating the city", people are all invited to drop by Open Air Neighborhood's workshop in Dream City, Roskilde Festival 2012, Denmark. Spending a couple of hours with different recycled materials, tools, friends and beers, take part in creating furniture for social use or anything fun, DIY is the way. Seven stools were handmade for the society during the workshop, get people closer no matter when and where. They are not just furniture, they are stories, life and art pieces with love.